Shopping is something many women enjoy, and for some, it can be difficult to decide whether to shop online or in person. 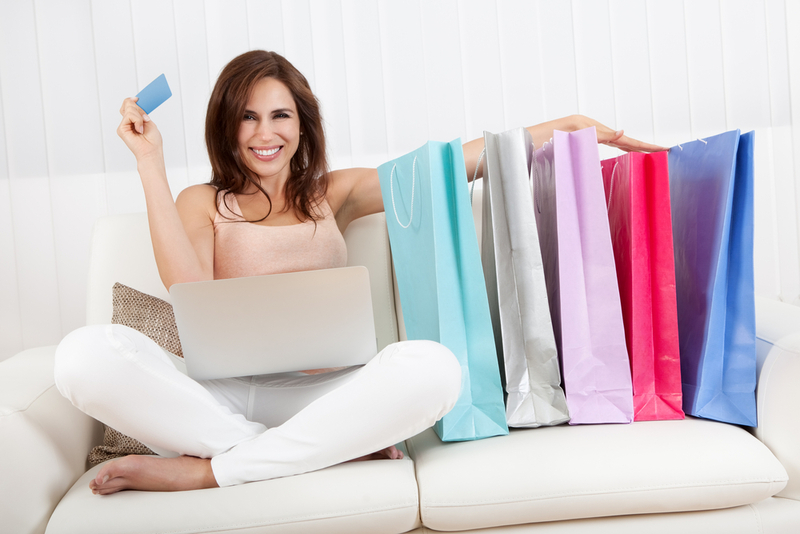 Shopping online can have its advantages, as well as disadvantages. Shopping in store can also have the same. OROGOLD explores the pros and cons of both, so that you can make an educated decision as to which form of shopping is right for you. Certain websites and brands will sometimes offer their loyal store credit card holders exclusive deals to special shopping events held online. Not only that, but if there is a point system in place, you will also be able to rack up extra points with some merchants. There is usually a larger selection of merchandise available online as opposed to in store, being that the warehouses store more of the product for shipping. Some vendors will use free or extremely cheap shipping costs, especially for store credit card holders. There are also ways to save money by shopping online by use of discount or promo codes which can be found through internet searches, and on occasion in promotional e-mails sent to your e-mail inbox. There are also many websites available online which provide discounted items at a fraction of the cost you would spend in store. For women with busy lifestyles, online shopping is their only method of finding time to buy something for themselves, and this is a great option for them. When buying items from a store you may have never ordered or shopped with in the past, the sizing of clothing items may be off. You may know you wear size 7 in jeans; however, their size 7 may be too snug or even too big. Every brand has its own sizing chart. It can be stressful to anticipate an order’s arrival, and then receive the order only to find out the item(s) didn’t fit properly. Even more stressful, the items may or may not be eligible for a refund, and if they are, you may or may not have to pay for the shipping of the item back to the company. Sometimes, you may even have to fork over the cost of a restocking fee. If you are purchasing an item online which contains scent, such as a candle, lotion, perfume or body wash, you may be unpleasantly surprised when you receive the item. Something you thought looked like it would smell fantastic may not be as lovely as you originally thought once in hand. Unless you’ve used or smelled the product in person previously, be wary of buying scented things online. Sometimes, shipping fees are excessive, and there are only one or two expensive shipping options to choose from. That being said, it may be more cost effective to go to your local mall or store and purchase the item there, especially if you live in close proximity to the store. Sometimes, certain items may be on back order, or take a long time to arrive – especially around holiday times. As a general rule to online shopping, it should be said that products intended for popular holiday gifts should be bought one – three months in advance of the holiday to ensure you receive the item on time. When it comes to shopping in store, you are able to get your item the same day, where you don’t have to wait on an item to ship. This can be exceptionally important when you have an event scheduled for that week. Having what you need when you need it is obviously the point here. If time is of the essence, your best bet is to purchase the item in store and have it readily available to use. When shopping in store, you are able to try on items and ensure they fit properly before buying them. You are sometimes privileged to special sales and promotions only found in store. Shopping in store may be more economical for those unwilling to pay sales tax and shipping fees. If the store is local, you could make a quick trip there, saving unnecessary shipping costs. 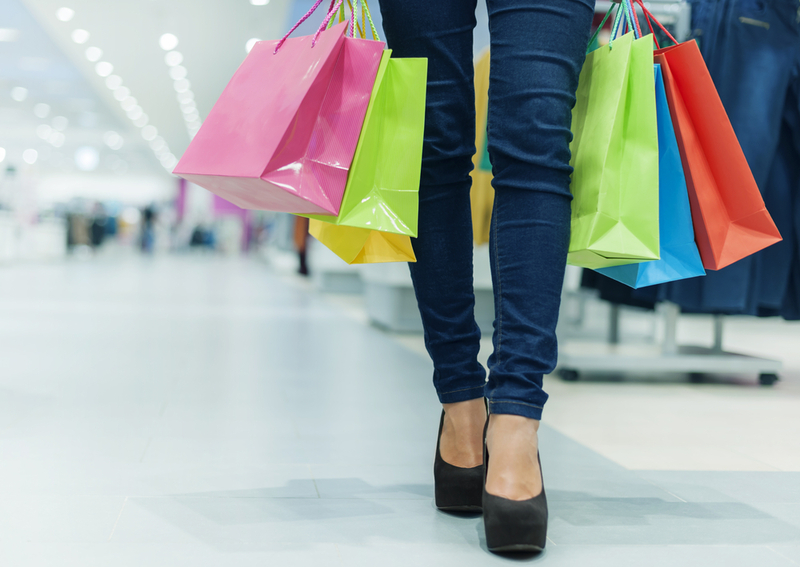 Some women prefer to shop in store due to the fact that it’s more hands on, and some people are generally more hands on shoppers. Something that doesn’t look as alluring on the same store’s website might jump out at you in person. Some women don’t have the time it takes to physically make a trip to the mall or their favorite stores. Online shopping is much more convenient for them, as it only takes a trip to a website and a few clicks of a mouse. Those who are disabled may find it difficult to get to stores in person. Due to this, online shopping may work better for them. If you are short of cash on hand, and you have a store credit card, charging your order online may be a faster, easier way to go – and you typically earn more points via shopping online, as well as saving money with promo codes only redeemable online. If you’re a mom of small children, taking them to the stores can be an overwhelming experience. Screaming, crying children can make shopping feel like a nightmare. In this case, shopping in store may not be such a great idea. Perhaps you live in an extremely isolated location, with no access to your favorite stores. In this case, shopping in person isn’t always attainable, whereas shopping online may work much more effectively for you. While there are many reasons to shop online vs shopping in person, and vice versa, it’s important to note everyone is different, and everyone has their own preferences. OROGOLD wants to known which method of shopping do you enjoy most, and why? Chime in below!